After being strongly advised to build our distillery somewhere less logistically challenging, Matt and I bought ourselves a ute and a tent and embarked on our most epic road trip yet. We spent 3 weeks frantically zigzagging our way down this uniquely shaped country that we have fallen in love with. Our mission was to find the perfect location for our distillery and we had all of the magical south of Chile to explore! Our first stop was a little town called Curioco, only about 2 hours south of Santiago. The town is right next to one of Chile’s most pinnable National Parks called ‘Siete Tazas’. The glacial river has carved out ‘seven cups’ and the water flows from one to another like a super-sized miniature Japanese water feature. 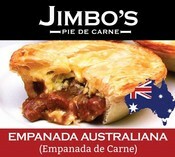 Curioco also boasts Chile’s only Aussie meat pie shop, “Jimbo’s”. Unfortunately the only way to get in and out of Curioco is via the dreaded Route 5, a road that is jam-packed full of vehicles with Chileans at the wheel. Avoid at all costs. From Curioco we took a hard right towards the coast and towards Chile’s surf beach, Pichilemu. Pichilemu is a sleepy little surf-town with beautiful long black-sanded beaches and lots of surfer-dudes. We didn’t get much of a chance to check out the break, but the sand was soft and the vibe was mellow. The water is cold though. Really cold. And we’re not really mellow surfer dudes. Next was a very undeveloped town also on the coast, called Constitución. 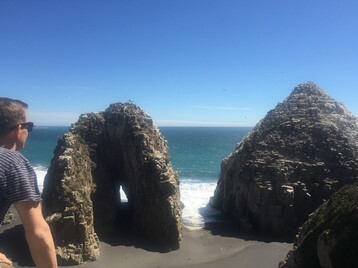 Constitución had some really nice rocks. But we’re probably looking for a little more than nice rocks. A few days later we finally reached the much talked about hub of Chile’s beautiful lakes district, Pucón. 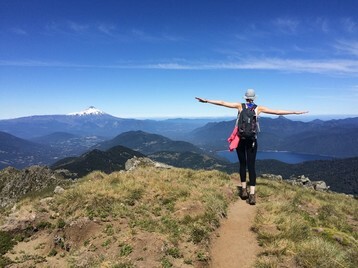 Pucón sits on the edge of a very big lake, next to some truly stunning national parks and underneath a huge, picturesque and very much alive volcano. In Pucón you can arrange every tourist adventure activity that you can think of and in January and February the town is absolutely jam-packed with holidaying Santiagans. It was February when we were there and it was way too hectic for us. Heading back out towards the coast, we arrived in lovely Valdivia. 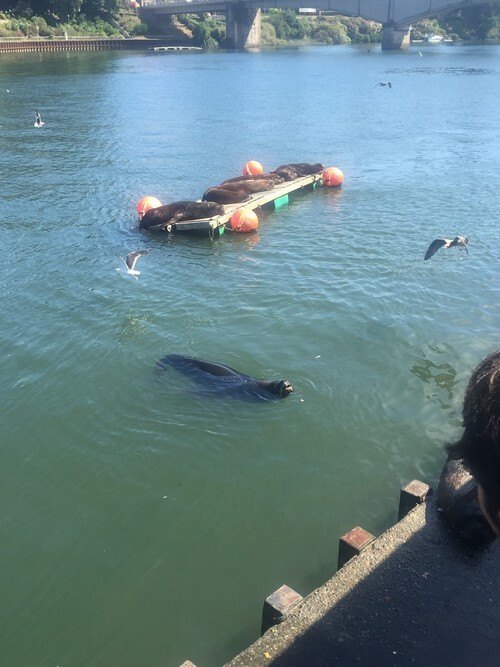 Valdivia is a buzzing university town with a gorgeous marina full of sun-bathing sea lions. It also has hands-down the best beers we’ve had in all of Chile; beers that were obviously made by brewers who really knew there stuff, complex and interesting flavours all balanced together to create fabulously refreshing yet very satisfying bevvies. And we didn’t even visit it’s most well-known brewery! If you’re serious about beer - go to Valdivia! But unfortunately for our business plans it is just a little too far off the tourist trail. Puerto Varas, like Pucón, sits on the edge of a very big lake, next to some stunning national parks and across from a picturesque volcano and next to another very alive volcano (although less-picturesque following its recent eruptions). What sets Puerto Varas apart is the gorgeous German-style architecture of all the buildings. It’s honestly at an is-this-a-theme-park? level of kitsch. 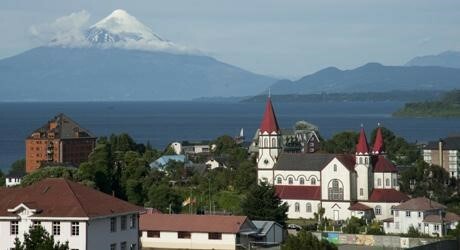 Puerto Varas has become quite the expat hub, with many foreigners relocating there from Santiago. It is so established that it is one of those places where the top 50 restaurants on TripAdvisor all have perfect reviews. For us, it felt almost too established, so much so that our business couldn’t get away with being as rough around the edges as we’ll need to be in the beginning! Driving South of Puerto Varas, Chile very quickly turns very remote. 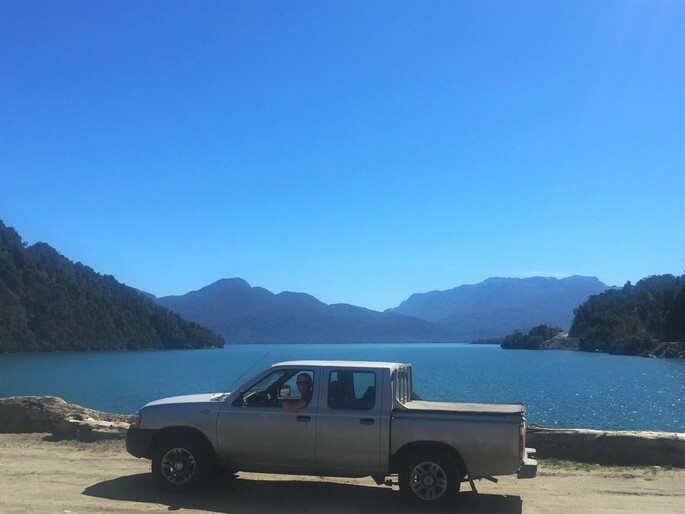 The only road, the “Carretera Austral”, is a treacherously winding mostly-dirt road that meanders through national parks to connect the small towns and villages of Chilean Patagonia. If you’re up for the most beautiful drive/ride/very-long-walk of your life, this is where to do it. About halfway down the length of this incredible roadway, we came across a bustling little town in a valley called Coyhaique. 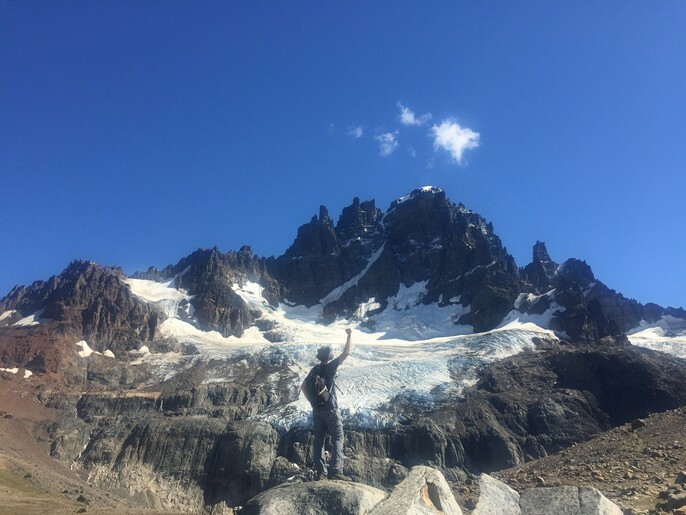 Just outside Coyhaique we climbed an epically mind-bogglingly beautiful mountain called Cerro Castillo. We’re not usually hikers that meander at lookouts for long, but the view at the top of Cerro Castillo was very difficult to leave. With its lively atmosphere, it is easy to forget how middle-of-no-where Coyhaique is. But it is a very very long drive from anywhere. After 3 weeks of incredible followed by incredible followed by even more incredible, we were pretty zonked when we finally arrived in Puerto Natales. It was lovely to find that even in the throngs of a record-smashing season, the town still felt like its sleepy self. We worked the rest of the season at a hostel, where we got to meet a lot of the kinds of people that choose to spend their limited vacations climbing mountains at the end of the world. We really like these kinds of people. And when we finally had a chance to again visit our favourite national park, Torres del Paine, the deal was sealed. Puerto Natales is where we’re going to build our distillery.